There is a standard 4cm increment for Bust, Waist and Hip for sizes up to UK18 and an increment of 6cm for sizes over a UK18. If your height does not fall within this range we recommend creating a profile and entering your personal body measurements to create a bespoke block. This size chart is useful to students and professionals creating high fashion garments to fit a model figure. The retail sector that sells high fashion to the youth market uses measurement charts that are adapted for a more youthful or athletic figure. The upper end of the size range has been reduced to reflect this. This size chart, when compared with the MATURE woman, features reduced measurements for the Waist and Hip throughout the sizes. 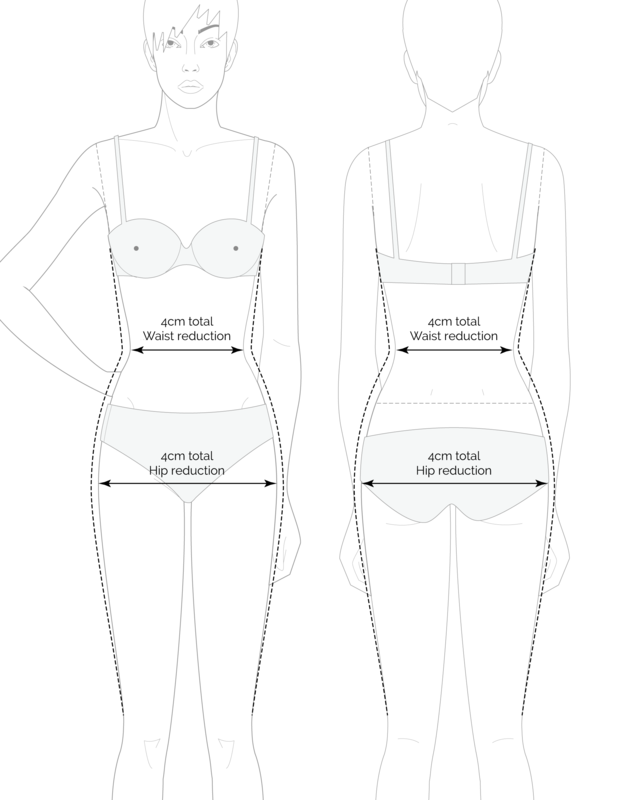 There is a standard 4cm increment for Bust, Waist and Hip between all sizes. If your height does not fall within this range we recommend creating a profile and entering your personal body measurements. The size chart is used to quickly produce a basic block without the need for entering in all your bespoke measurements. It is predominantly used by students and professionals that are creating high fashion garments to fit a standard model figure. We have two standard size charts for you to choose from. The mature chart includes a larger range of sizes (UK 4-24) and features a 4cm increase in the waist and hip circumference. The younger chart has a reduced size range (UK4-14) and features no size increase on the waist or hip circumference. To find out more about each chart click the Which Size? button at the bottom of each individual chart. Find the set of measurements that matches your bust, waist and hip most accurately and select it by clicking the size (8, 10, 12, 14 etc). To view a more comprehensive list of body measurements, click the Show More button at the bottom of each chart. Everyone has a unique shape and sometimes a standard size chart simply doesn’t fit. However, PatternLab allows you to customise or refine any standard size. Simply create a profile and base it upon a standard size. You can then adjust each individual measurement and save your customisations. For more information about standard size charts and taking measurements please view our Frequently Asked Questions page. To understand how we use measurements to automatically draft our basic blocks, please take a look at our Troubleshooting Guides. Thank you. Your subscription has been registered. A confirmation email has been sent. Thank you. You have been unsubscribed.